Push marketing is about product promotion, reminding your customers about your products. This works well if you are a retailer with products which people often buy. It doesn’t work as well if you are service based or a B2B business. 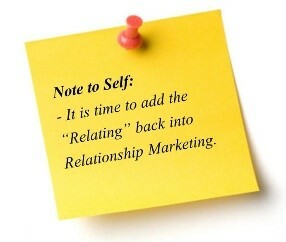 Pull (or relationship) marketing is about regular communication to build credibility and awareness. This is an easy way to give keep in touch with your customers. 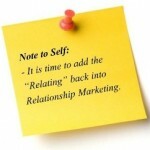 Once a month is ample – any more and you destroy rather than build relationships!). Tell them about recent news or services, and share articles that could help them. You can also link to your articles to your website as a way to drive your customers to it. Write a weekly article something your customers would value. You could comment on a news article that you think they should read. It could be a new product or service or advice on saving them time and money for example. Be consistent – don’t start then stop, use it to build relationships with your customers. These aren’t an opportunity for you to sell something. The purpose is to keep in regular touch with your customers, to ask how everything is and what their plans are. If you see an opportunity for someone to help them, offer a referral if you can’t help them yourself.